Driving from Kąty Wrocławskie down the road no 346 towards Oława you cross Krobielowice. In the village you ought to turn into the first street on the right, and then drive straight on to the palace. 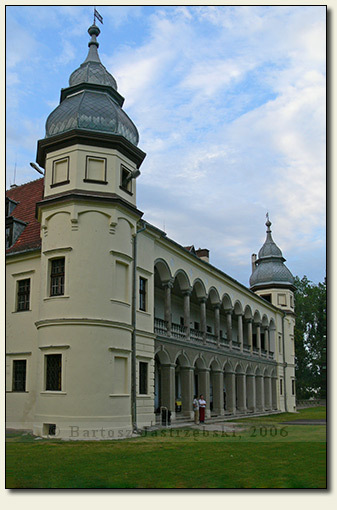 The history of the origin of the first defensive building in Krobielowice perishes in the darkness of history. Probably in the XIVth cent. 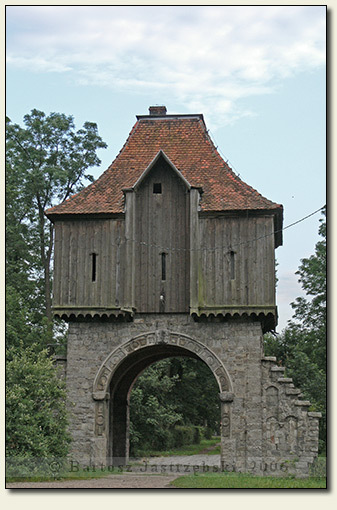 there existed a defensive tower, which appeared for the first time in the documents from 1349 when Heinrich von Sitten buys it. 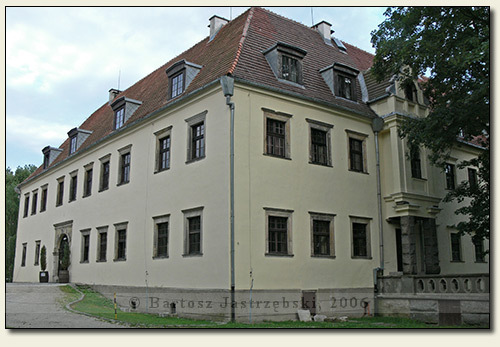 In the years of 1570-1580 or 1596-1613 an original defensive structure was converted into a manor, being the property of the Franciscan monastery in Wrocław. Because the clergymen knew no moderation, in the years of 1699-1704 the manor was enlarged up to the sizes of a today palace. The monument was reaming in hands of the monastery until a secularization of its possessions in 1810. 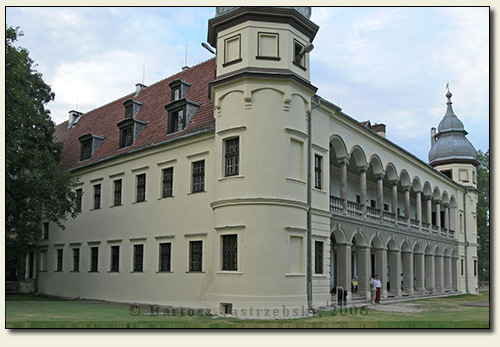 In 1814 the king Fryderyk Wilhelm III gave the palace to a field marshal Gebhard Leberecht von Blücher, the duke von Wahlstatt as a present in reward for a victorious campaign against Napoleon. 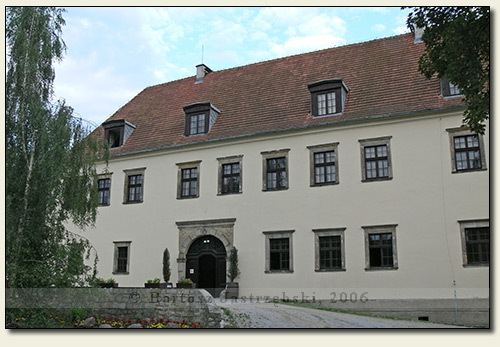 Since then the family von Blücher was in the possession of an estate until 1945. The first renovation works after the war were started in 1979, but they did not bring any result. In 1992 when the palace was already heavily devastated and robbed, a private owner bought it, who refurbished the monument during a year. Since that time there is a hotel and a restaurant.